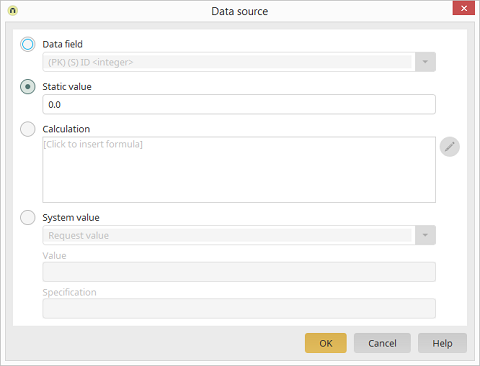 If the Gauge control is on a view page in a data group, a data field can be selected here that provides data to be displayed. However, this is not possible on top-level view pages. A static value can be entered here. A formula can be defined here. Enter the name of the parameter here. If the system value does not return a value, the value entered here is used.